I missed all the excitement at my house the other day. That’s what I get for sleeping in. 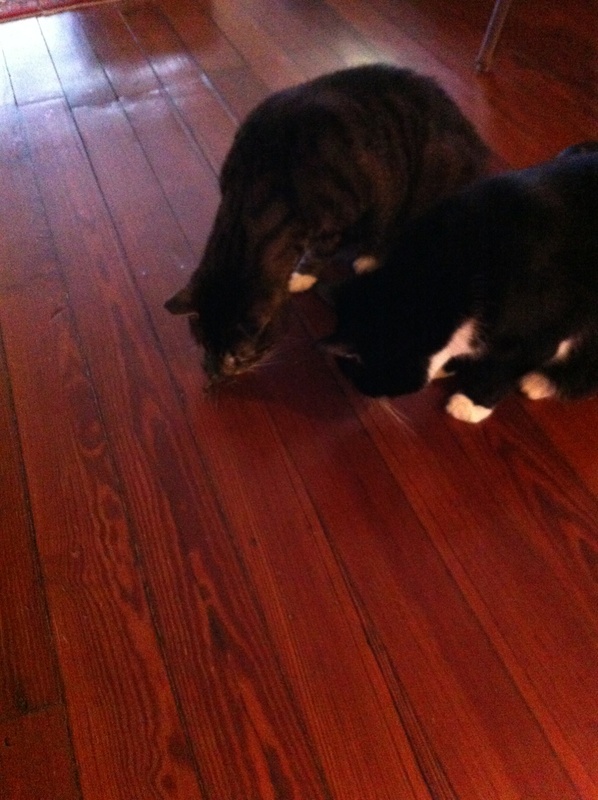 Oscar and Della Street cornered a chameleon. 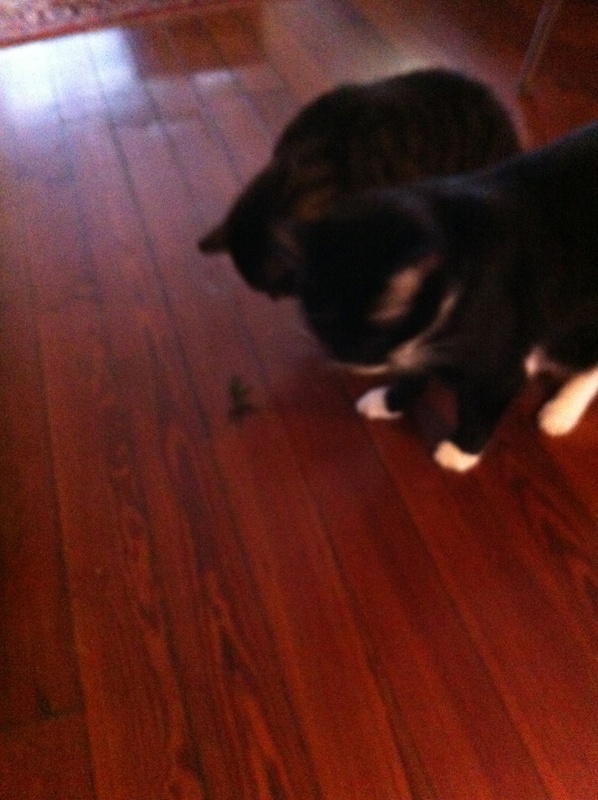 Their hunting instincts kicked in but they’re out of practice. 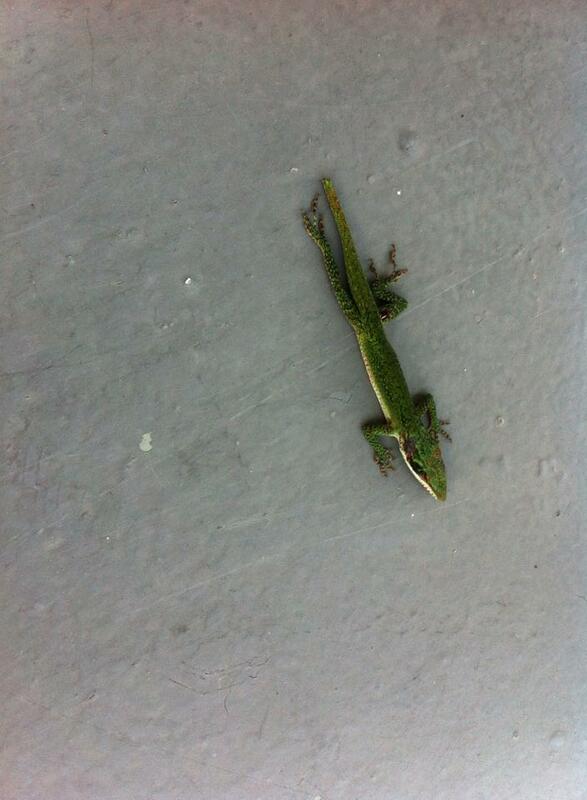 When Dr. A realized it was a lizard and not a palmetto bug, she spared its life.